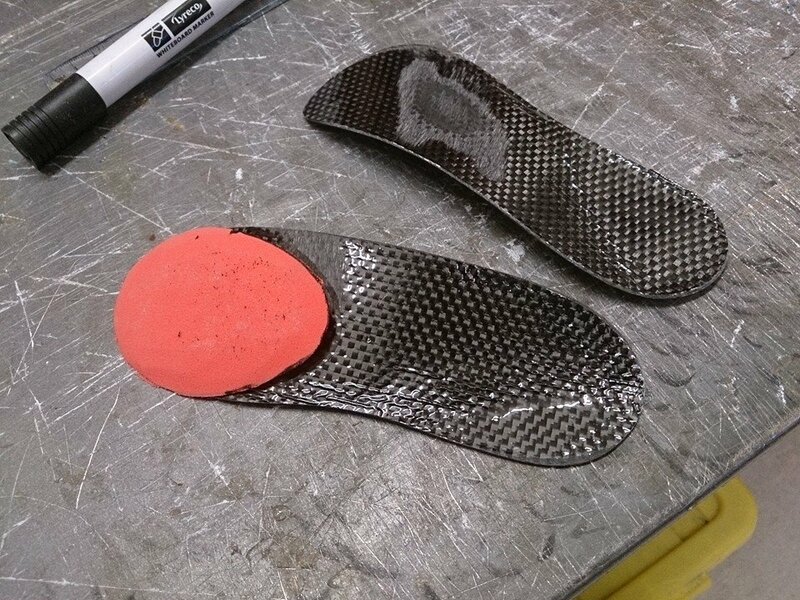 One of the most common additions to orthotics, especially cycling devices is the Metatarsal Dome. Famed for reducing forefoot numbness and pain, the promises made by practitioners regarding this inert lump of foam are spectacular. Metatarsal domes, when used appropriately, can reduce loading through the forefoot. The basis for this is not super technical. You increase the bulk behind the forefoot and loading will increase in this region. 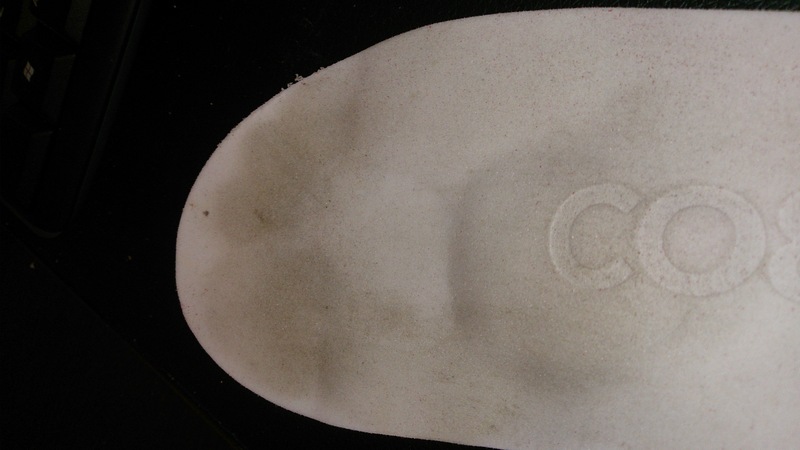 As a consequence, the peak load under the pad of the foot will reduce. This is a neat way of reducing the pain under the metatarsal heads. When you use Metatarsal domes, the sensation of the lump under the foot can be uncomfortable if the shape is wrong, or the density of the dome is too firm. If the dome is too small or thin, then they can be ineffectual. Not all domes are created the same. It is crucial that the right prescription is applied and the dome is suitable for the foot type and pathology. Not all domes are created the same. On occasion, an incorrect diagnosis of forefoot pain leads to a dome prescription. This also happens when flat ineffectual over the counter orthotics are used and the lack of arch contour is compensated with a large Metatarsal dome instead. The result can be a tight fitting shoe that causes MORE numbness and pain then previously. The moral of the story – Get the diagnosis right, then use the right dome if it’s required. The most spectacular Metatarsal dome in the world won’t overcome poor history taking and a poorly directed clinical assessment. At Cobra9, we check and double check with all our practitioners and partners regarding dome position and dimension to ensure we are taking the correct steps to address our clients problems.